The Heart, Mind & Soul Project | When the Heart is awake we know Love, when the Mind is aware we learn Truth, when the Soul is alive we experience the Divine. | Page 2 The Heart, Mind & Soul Project – Page 2 – When the Heart is awake we know Love, when the Mind is aware we learn Truth, when the Soul is alive we experience the Divine. When we tell people about our work in Bali, their usual reaction is “Can I come too?” Many people have indeed joined one of our six trips to date. 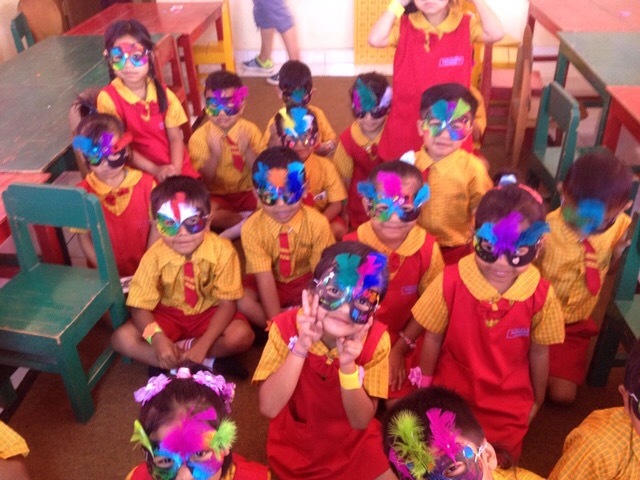 In fact, there have been a total of 23 volunteers that have travelled to Bali and worked in the schools of Munduk. 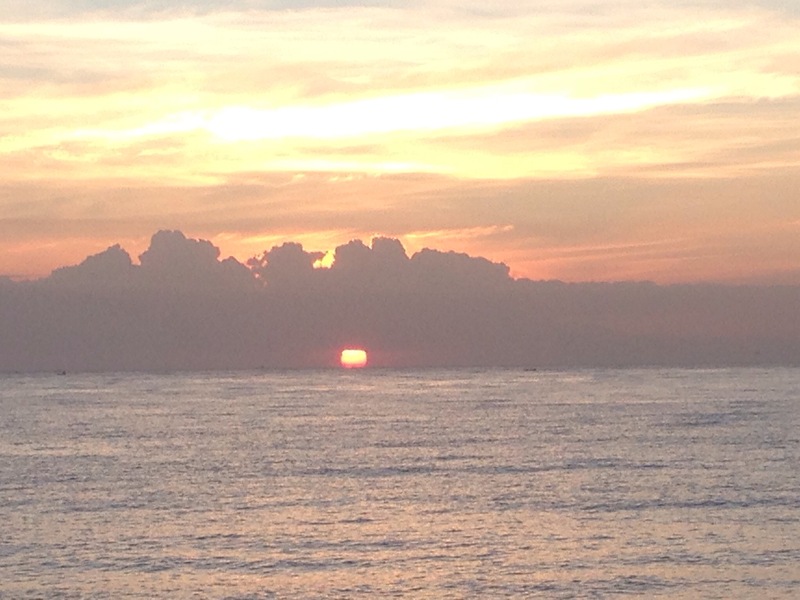 For those of you who haven’t been able to join us yet, I thought you might enjoy an overview of a typical trip to Bali with The Heart, Mind & Soul Project. First, you have to get there. We typically fly through Taipei because it’s the fastest and cheapest. The first leg from LAX to TPE is about 13 hours. After a 3-4 hour layover, the final leg to Bali is about 5 hours. So you’re spending almost a full day to get there. 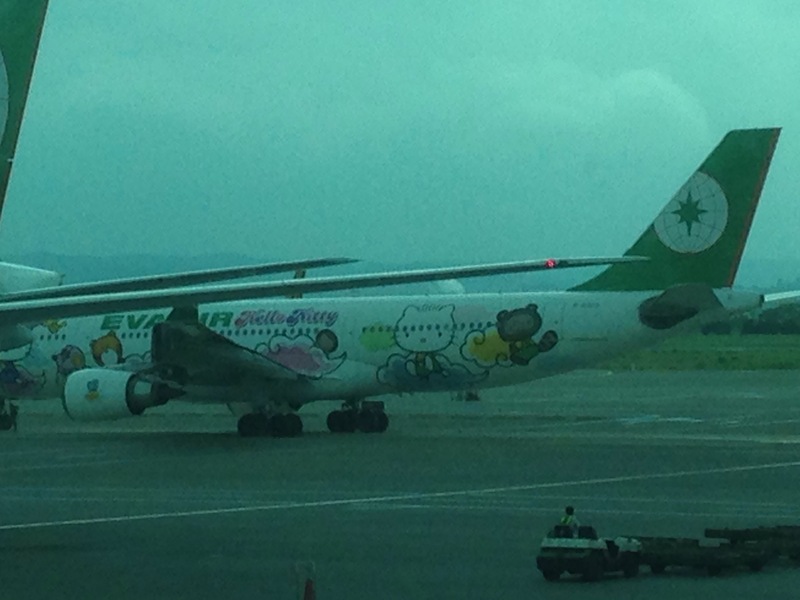 The time goes by quickly if you fly on a Hello Kitty plane. Upon arrival we usually spend a few days in a quiet area to adjust to the time change and let go of any mental baggage from home. Then it’s time to fill the void with Balinese culture so we head to Ubud for a few days of immersion into the sights, smells and sounds of this cultural capital. The highlight of our time in Ubud is a visit to Tirtha Empul, the water temple. At the temple we participate in a purification ritual, immersing ourselves in the cleansing waters and offering prayers at each one of the fountains. Leaving Ubud, we drive up into the central mountains of Bali and the rural villages of the Munduk region. Away from the Western influences of the beaches and bustling cities, the pace of life slows measurably as we arrive at Sanda House, our headquarters for our work in the local schools. We are currently sponsoring 6 schools in the region and we try to visit each one during our annual visits. Each day begins at dawn as we prepare a light breakfast for the volunteers and review the schedule and assignments for the day. Our driver arrives at 7 am and we travel to our first school by 730. 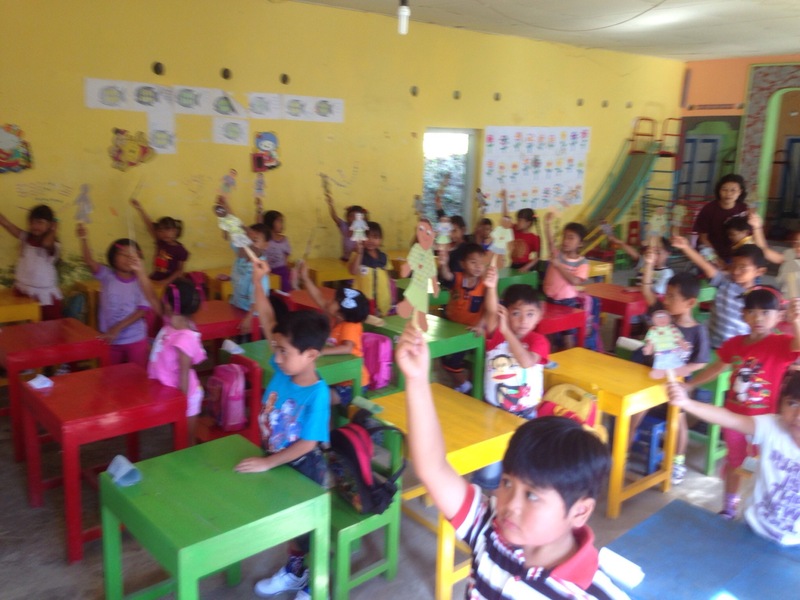 At the schools we introduce ourselves, sing a few songs (the chicken dance is always a hit) and work with the students on a simple craft project. It’s heartwarming to see the reaction from the students as they complete their project and proudly display them for their teacher and friends. In the afternoon after our school visits, we have teacher training sessions and a special party for our sponsored children and their parents. Since we now have 55 students supported by our sponsors in Australia, Germany and the United States, it’s quite a celebration as we hand out backpacks filled with school supplies and special notes, photos and gifts from the sponsors. 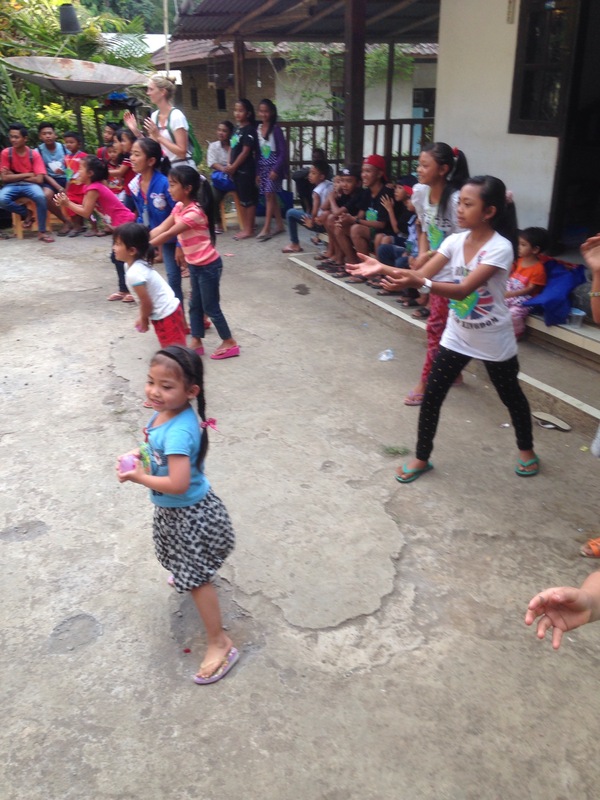 The children entertain us with a traditional Balinese dance and everyone joins in for a game of water balloon toss. When our work in the schools is complete, we head back to a quiet area to unwind and reflect on the experiences we’ve shared with the students and all the beautiful people of Bali. We are refreshed and renewed by our small acts of service to them. This is our sixth trip to Bali to work with the school children of the Munduk region. It’s amazing how the years have flown by and our dream (actually Kathryn’s dream, more about that later) has grown. From its humble beginnings, our organization has expanded to support over 50 students, 7 schools and their teachers in a beautiful mountainous region far removed from the tourist areas. This year has been especially fruitful as we decided to create a new vehicle for our work in Bali and other places near and far from home. The name of our organizatiuon is The Heart, Mind & Soul Project www.hmsproject.org and our belief is that when the Heart is awake we know love, when the Mind is aware we learn truth, and when the Soul is alive we experience the Divine. During her high school years, Kathryn volunteered with Amigos de las Americas in Nicaragua. She traveled in rural villages (often alone) and provided immunizations to young children. That experience changed her life and instilled a love and openess to all people and cultures of the world. Her later career as a teacher was a natural outcome of her experience with young children. About 12 years ago, when our two oldest boys were in high school, Kathryn was looking for an overseas volunteer experience that would enrich their lives (and college applications). More importantly, she wanted to expand their world view in a way that can’t happen in southern California. She considered the Amigos program and well as some “Do it yourself” programs in a variety of foreign countries. As often happens, life got in the way and the boys went off to college without that volunteer experience on their resume. When our daughter started high school a few years later, Kathryn dusted off her dream and vowed to make it happen. A number of seemingly random events cleared the path. In 2008, Kathryn was diagnosed with breast cancer and our priorities shifted in a big way. It was a year filled with testing, diagnoses and big decisions on treatment. Although it was a challenging time, it provided clarity on the importance of healthy living and time spent with family. Later that year for our 25th anniversary, Kathryn finally got to visit a place on her bucket list- the island of Bali in Indonesia. While we were there, we fell in love with the people and their culture. 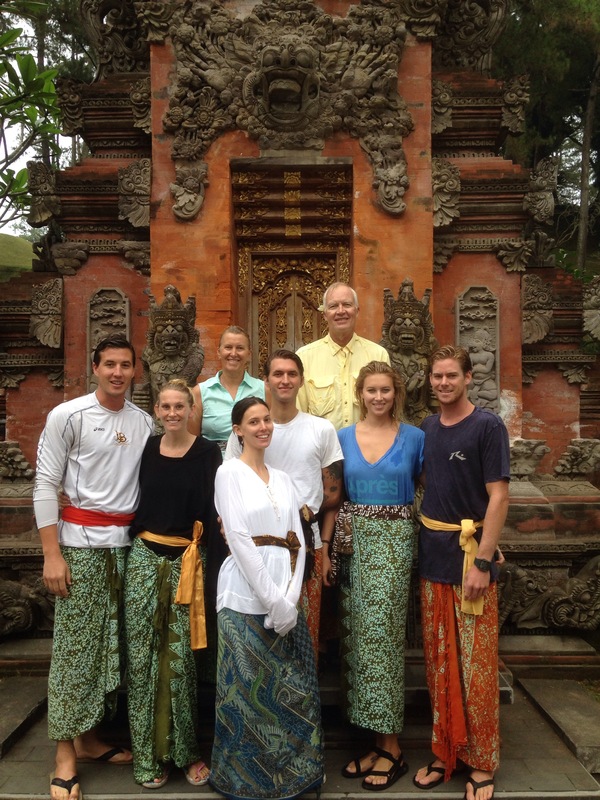 When we returned, Kathryn immediately went to work researching various charities that were active in Bali. She found one (Bali Children’s Project) that had operations in Bali and the USA. One of the most attractive features of BCP was its flexibility. BCP has operations in Ubud as well as Munduk. The Ubud operation is much larger and better established. 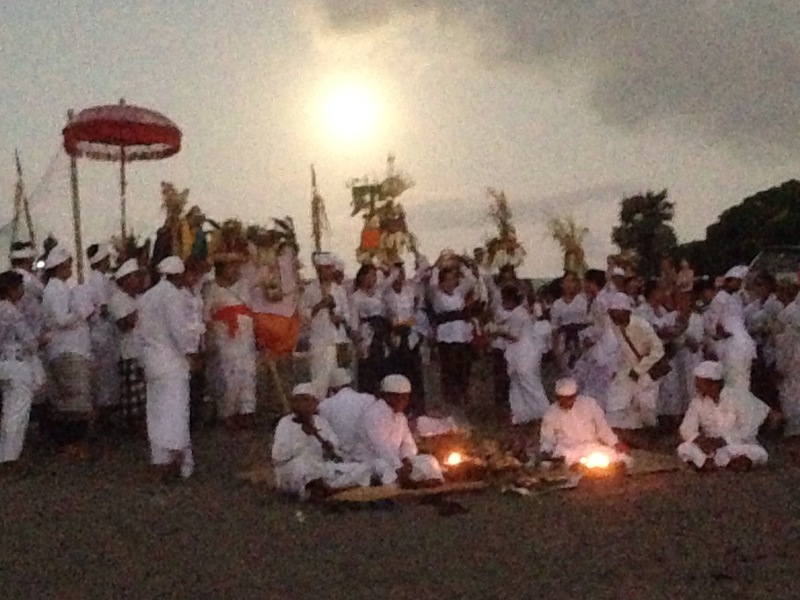 We didn’t see any opportunities in Ubud so we investigated the Munduk program. We found a perfect fit in a grass roots operation that offered a chance to make a difference in the lives of young Balinese students. And so, in April 2010, we travelled to Bali with our two youngest children to visit rural village schools. Kathryn’s dream was becoming manifest. In less than 12 hours we’ll be on our way to Bali. This will be our 6th trip in support of the students in the Munduk area. Please follow our trip and learn more about Bali and its wonderful people.